Recently, we discussed ways to use a call-to-action with videos, but there is one more step to a CTA: measuring its effectiveness. When measuring the success of your video, there are a variety of key performance indicators (KPI) to pay close attention to. A key performance indicator is a tool you use to measure and decide the relative success of your video. There are actually several KPI techniques and tools that you have access too, but we’ll focus on four major ones for now. 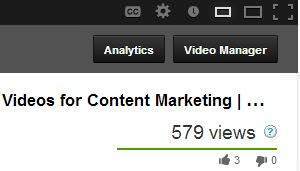 One of the most common ways to judge your video’s success is to simply check the number of views accumulated. The video view number can be an appropriate KPI, especially if you have no clear CTA during or at the end of your video. The advantage of the video view as a KPI is that it is generally quick and easy to determine from your video host (YouTube, Vimeo, etc.). However, if you have a CTA in your video and its purpose extends past a viewer simply watching the video, then judging the successfulness of the video should involve more than simply checking the number of views you have. For those videos with a clearcut CTA and purpose, one of the easiest ways to check on the videos success is to measure how many people have actually followed through with the CTA. In this case, if your CTA was to have people click on a link to your landing page, then your KPI would be how many page views you have received from the video based on your Google Analytics tracking results. If your CTA was asking people for donations, then your KPA would be how much money you received through donations. Because key performance indicators are most commonly used when there is some sort of call-to-action, it can be easy to judge the success of your video if you couple it with your web or transactional analytics. 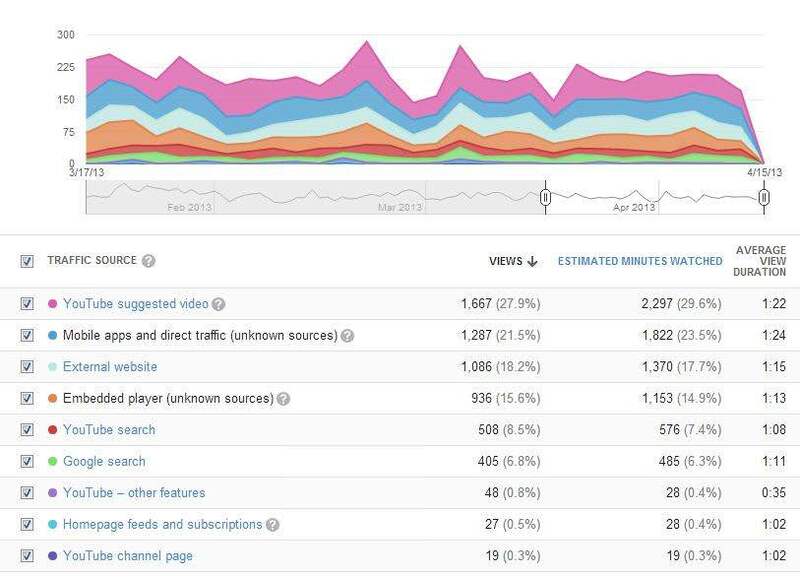 One of the most comprehensive tools that you have access to as a YouTube user is YouTube Analytics. Through the analytics you can find out how long people actually watched the video, see where people watched the video from, and how people found the video from other sources. Some of this information may not seem that important; however, it actually tells you a lot about the success of the video. For instance, when you know where people are watching your video (embedded in your site, directly on your YouTube channel, or elsewhere) you can determine audience behavior, find other whether the video is being shared, and where it is most successful. When these KPIs are combined with the number of views you received, you can really begin judging the successfulness of your video. If you are trying to determine whether or not your videos are being successful, it’s a good idea to talk to different members of your team that may not be directly involved in the videos. If the sales department has been getting positive feedback from customers, getting new leads as a result of videos, or simply asking you to create more videos, then you can likely consider your video productions a success. When you are planning your video, something to keep in mind is how you are going to judge the successfulness of your video after it has been produced and published. In some cases, you may have to compare your video to other content (like blogs, whitepapers, and infographics), but after you create a few videos, it’s a great idea to only compare the success of a video against other videos. When you are trying to determine the best KPI for you and your video, one thing to avoid is your personal opinion. Remember, you are not necessarily your audience and it’s the audience’s opinions and actions that matter most. Rely on real numbers, customer feedback, and analytics you can actually measure. You can check out the full episode of Video Pep Talk below for more on video KPIs. Would you like to join us for our next live video chat? Find out more and sign up for an invite to our next Video Pep Talk.